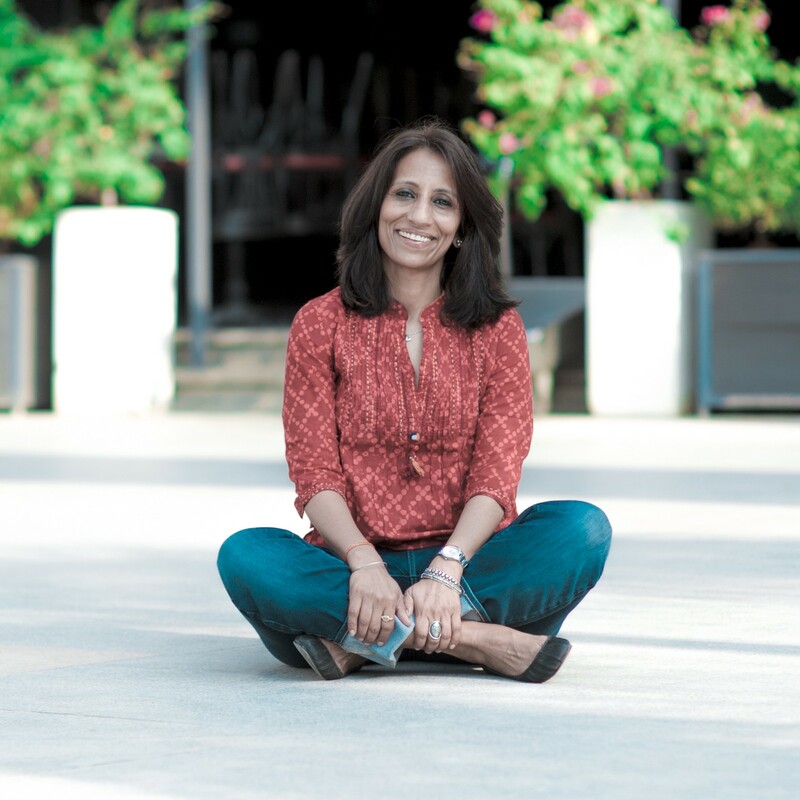 As a part of my series about “Learning To Finally Love Yourself” I had the pleasure to interview Shalini Singhwho comes with close to three decades of work experience having lived and worked across three continents. 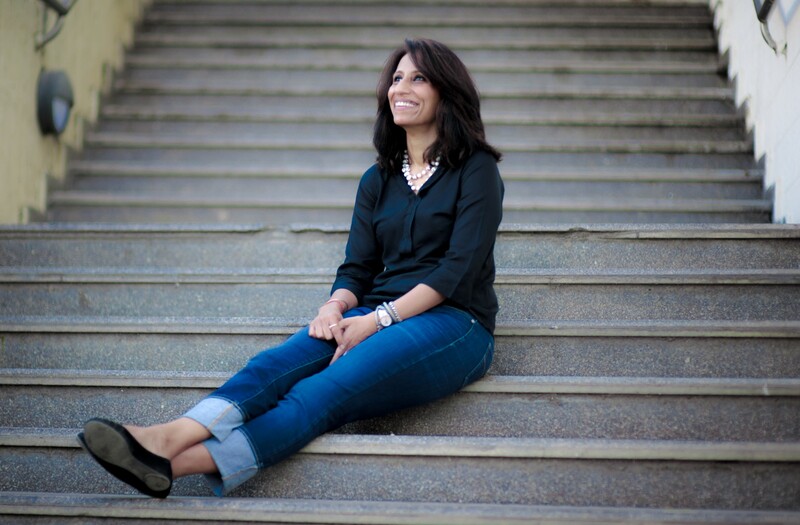 She now lives in Bangalore, India running her communications firm, Galvanise PR. In January 2019 she launched andwemet.comwhich she describes as a global and a responsible matchmaking platform for urban Indians over the age of 30 years. Her medium profile can be read hereI Twitter: @_shalinisingh_. I met my partner in my early 40’s. After being in a relationship, I realized how it opened my world helping me further grow both emotionally and mentally. With this new found life experience, I reached out to my single friends urging them to make an effort in seeking a partner. While both genders of friends agreed to the thought, apprehensions about going online with regards to profile authenticity and content held them back. A quick search and a survey of personally speaking to over 1000 singles, cemented the idea that there was a gap in the market for those in the age group of 30–60 years age group, seeking a companion and andwemet.com was born. andwemet.comcan be as new as it can get. It was launched in January 2019. Coming to the topic of relationships, it can be emotionally fragile yet an emotion or feeling that can give extreme strength. Understanding relationships is as complicated as understanding the thinking that goes in a human brain. There is science behind relationships that talk about patterns and more but the path to bring sense of wellbeing in a relationship is honestly left to the maturity of the two individuals in it. Relationships take years to build but seconds to break off, as shared above, it depends on the two individuals what they seek out of themselves as individuals and two of them together. The couple in a relationship would go through more challenges than one which can rock their boat — it could be interference from families, friends or a turbulence in professional & financial life or if faced with a health ailment or it could also be birth of their own child. It is during these times a couple is tested for which there is never a perfect scenario — at times it could be both giving each other the emotional strength, at times one partner gives in more than the other. A couple that crosses these challenges together is likely to always stay together. We atandwemetbelieve in relationships, but we also know that however much fun it is to be in one — it is tough work and those signing up for it, need to know that relationship is WIP which is one needs to be worked upon on regular basis. It’s an interesting topic we are discussing here and I am glad we are because ‘self-love’, ‘self-acceptance’ is so important. Unfortunately it is considered to be vain, but I think people usually misunderstand the essence of the meaning. Self-acceptance or self-love for me is to do with your emotional and mental being and if that is intact, everything else falls in place. I would speak of women and more so from Asian countries and particularly India, where while growing- up most women are asked to let go, or give in for the happiness of others — this in my view leaves them confused when they are down and out and while seek for self- acceptance they go through self-doubt. In our 20’s most of are carefree and a decade where we make mistakes and learn from them. In our 30’s we tend to slow down, often reflect and are usually hit by various emotions. Also while in our 30’s if we are still single, the society is not very accepting. If in these years we are in a relationship and unhappy, we tend to end up in a blame-game and expecting our happiness to come from the significant other. I need to face challenges that life throws my way, stating it is OK to fail, but at the same time it is important to get up, dust my knees and continue moving ahead, with a smile. As luck would have it and sanity prevailed I chose the latter and today there is no dearth of ‘self-acceptance’. I do slip here and there but gather myself back quickly. I would not be surprised if the percentage is lesser than what is quoted. The cause is as simple as it can get, the idea of perfect beauty as projected in the media. We all have a mindset of beauty and perfection, unfortunately the concentration is more outwardly than inwards. Let’s take a simple example of a 3 year old owning a Barbie doll and living with it and its variants till the age of 10, 7 years is a lot of years to be influenced. Also one of the longest selling reality show in the US which is also telecasted globally is that of the Kardashians whose lives depend on how ‘perfect’ they look. It is the consequence of the above is lack of self-confidence and always looking for self-validation more outwardly. Allows one to be positive in challenging situations. Let’s face it, in life throws more difficult situations than fun situations, it’s how we behave and handle them builds our character and if we love ourselves, we tend to come out of such situations lesser wounded than the others. People will want to know you, spend time with you. Let’s admit it, we all want to be around positive people. One has to experience self-love to be able to share it ahead. Avoid losing your own identity. We cannot depend 100 percent on our significant other to fulfil emotional, mental, financial needs. Why do I feel insecure and unhappy? I worked on myself, overcame it. I learnt how to appreciate and feel content. Being judgmental without knowing the complete background. For this, I worked on not reacting to situations, not making decisions based on half-baked information. The fortunate bit is I took time for self-reflection. Also as shared above my immediate circle of family and friends play a positive role in my life till date. We usually take time out for things we enjoy like plan vacations, shopping, spending time with friends. We also tend to get engulfed in day to day life’s responsibilities. Very few take time out for self-reflection. If done, I can vouch for way fewer relationship break-ups. Having said so, self-reflection is not a one time but a life-time exercise. I come from India and as a culture we as families live in each other’s lives, and I do not think I would want it any other way. But jokes part, something which is often ignored and overlooked is that the definition of being alone — people despite being in relationships are alone. I do think, feeling good about your-self is extremely important, those who do not are the ones who usually feel afraid to be alone or cling on to a relationship by being in one even if it is empty. Feeling good about self, self-love is difficult because it calls for discipline to remind yourself to always feel good from within. I think it helps you to have empathy, it allows you to listen and comprehend others, it allows you to let go of things. It also allows you to reason out that the relationship is more important to you than your ‘insecure’ ego. At the end of the day, it allows you to sleep well ☺. Individuals should accept they are not perfect and are a WIP (work in progress) and that they need to continiously work on themselves to be a better version of themselves. In a relationship, the two should know that love is about loving an imperfect partner. As a society particularly the media needs to be way more responsible. In Asian culture more than western culture, families should instill self-confidence in the children in being emotionally healthy vs judging them on the way they look physically. Have a small but a solid circle of friends. I also give a lot of importance to family, both immediate and extended. I did try reading a few but unfortunately none worked for me. Lately, I am listening to Ted Talks, some resonate well, and some do not. For me my family has been my immense strength. Communicating and continually talking with them or close friends has helped. My parent’s relationship has had a huge impact on me — both of them are vastly different from each other, yet they share a warm and enduring relationship. They have gone through their challenges, but have never heard them giving up in any difficult situations. Giving up is not an option. ☺. Of course one needs to know their own limit and not be foolish to keep trying to open a locked door by pushing it if the key is misplaced. One needs to reflect on ways of opening the door and if you really want it opened a solution will be found. I also am of the belief that people can change at any age, but only if they want to. I often hear people say, it is very difficult to change oneself if one is in their 30’s and beyond. I disagree and see it being more of an excuse as a change asks for immense effort and discipline. I read the word ‘Impossible’ as ‘I am possible’. I come from one of the most affectionate family and have has an extremely secure childhood. Despite that I have experienced several roadblocks in my both personal and professional life and have victoriously overcome because of self-love.